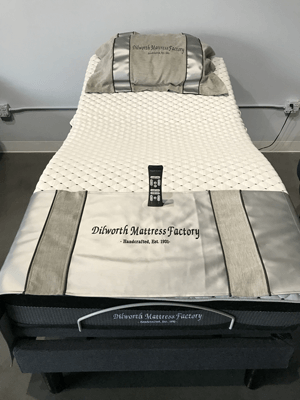 At Dilworth Mattress Factory you will not find a box store with a warehouse full of pre-made mattresses. Instead, you will meet our expert craftspeople who are dedicated to building you a mattress custom fit for your comfort. 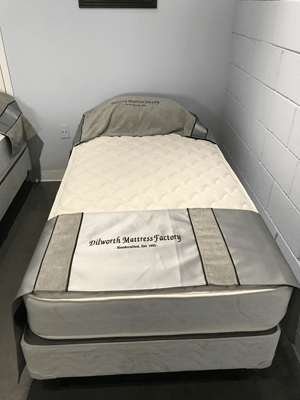 Avoiding the "cookie cutter" mattresses of our competition, we make the mattresses right in out factory and sell them directly to your customers. Our Personal Sleep Consultants will work with you to discover your preferences and sleep support needs. Once we identify your individual requirements, our craftspeople use their years of experience to handcraft a premium set of bedding specifically designed to fit your individual sleep preferences. 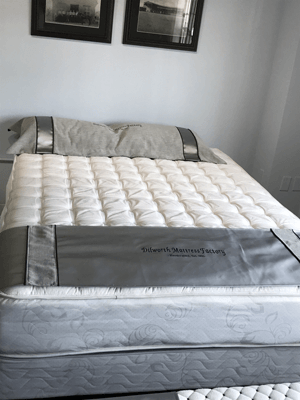 Depending on your mattress selection, several layers of various elements such as Talalay Latex, high grade comfort foam and wool are added to create the perfect comfort level for you needs. Our Personal Sleep Consultants are experts in the raw material used to manufacture bedding. So if you have a question, just ask! 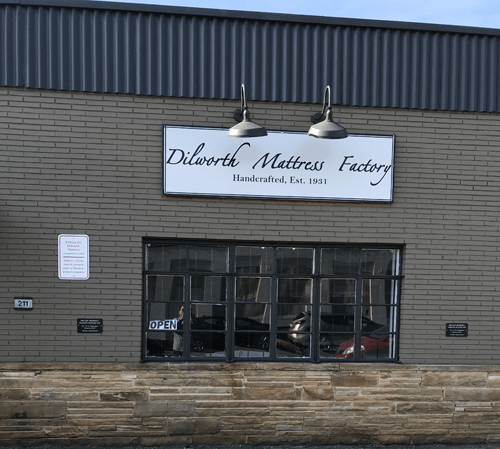 At Dilworth Mattress Factory, we offer a full line of flippable innerspring mattresses along with latex mattresses. We specialize in odd-size and custom sized mattresses. 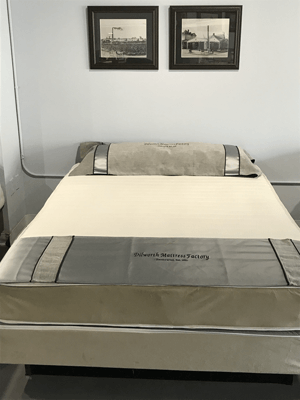 When the Charlotte Observer wanted to do a story on the booming Charlottte Mattress Business, they came to us, the most experienced mattress factory in Charlotte. 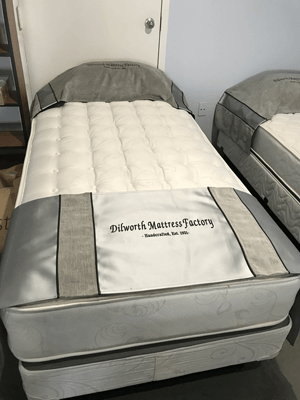 “They don’t make them like they used to,” says Drew Menard who bought five mattresses in five years from one of our competitors. Too bad he didn't know about Dilworth Mattress Factory. We still make them "like they used to". With us you will get the perfect comfort level for your needs. "I learned that my two-sided flippable mattress was an endangered species." . Too bad she didn't know about Dilworth Mattress Factory. 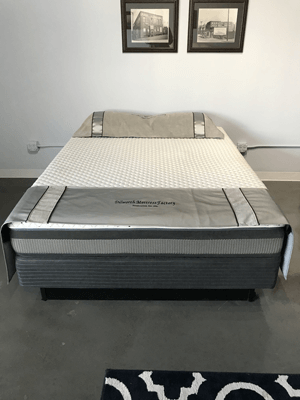 We still offer a full line of two sided flippable inner spring mattresses. “There’s nothing more important than sleep,...If I’m going to spend seven or eight hours on a bed every night,... that’s where I’m going to put my dollar.” - Great advice! 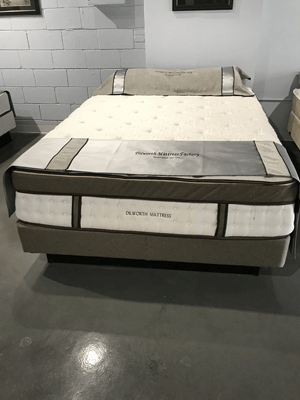 If you are shopping for a quality Charlotte mattress, let us handcraft a premium set of bedding specifically designed to fit your individual sleep preferences. Call us today!